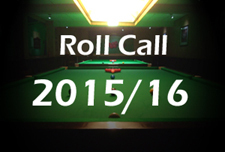 Hi everyone, welcome to my new blog which will be published here at PSB during the course of the new season. Where else to start but with this week’s Shanghai Masters qualifiers where I was delighted to win my three matches to make it through to the venue stages over in China! 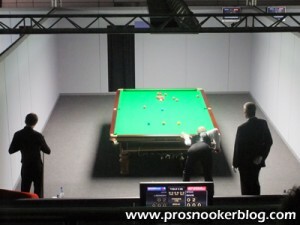 My first match was against David Grace and I was a little bit shocked to find out just before I went out that it was one of the games selected for live streaming during that session. The arena was a bit different to normal at the Academy with different seats and scoreboards everywhere, it was just like being at a venue with a cameraman in the booth and I felt a little conscious of it during the first frame. The match itself was a quite scrappy one really. It was a big game to me because there are a lot of points on those matches but I was happy with how I played, I felt confident at the table and was pleased to get through. My second match came against Mike Dunn and I made a good start by taking the first frame having needed a snooker and after that I played really well, scoring heavily and winning a few frames with one visits. My positional play was good so I was really chuffed with that because even though he has been ill recently Mike is still a good player. 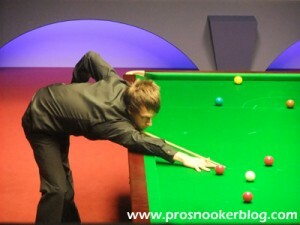 I then had Marco Fu in the final qualifying round and I knew that it was going to be a tough match. The thought of qualifying for China was massive to me and the day before I knew it would be one of the biggest games of my career to date. I was quite nervous, I felt nervous all week in every single one of my games, maybe because I hadn’t had a lot of match play in the build-up to this week. As it happened I played really well in the match, drawing level after dropping the first frame before having an 80 and then a 50 odd to get to 3-1 at the interval. From there I made a 70 and then took the last frame with a century which was a particularly nice feeling. Normally I would have imagined myself making a big deal out of it and struggling over the line but I felt confident enough just to go for it. It gives me a lot of confidence to win a match like that because Marco is a player that I really admire. He’s a top 16 player really, he’s class, you can see it in the way that he hits the ball and his manner around the table. He is really professional. Overall then it was a really good week, I played well and put pressure on the three players that I beat. Every time that they missed I just cleared up and if anyone does that to anyone, even the great players out there can miss when put under pressure. It was nice to get through not slogging with games, long safety battles and struggling, I could just play my own game. I am really looking forward to Shanghai now. Myself, Judd, Ronnie and our manager Django are flying out together on the Friday and we all have a really good laugh. I will have to play a wildcard first up though I am not sure who that will be yet. Those matches are always potential banana skins though so I will have to be on my game from the start. More than anything I am really looking forward to experiencing the Chinese hype. Snooker is becoming really big out there with the red carpet for example and I am looking forward to seeing what the crowds are like. Even if I lose my first round game I will stay out there and watch to take it all in. Last time I went to China I had a great time and I’m looking forward to getting back out there. Mark Williams on the Red carpet! Looking back at my first year on the main tour it was a cool season overall because I managed to play at the three venues, Ireland, Germany and Wales, which to be honest I didn’t really expect. I’d have been happy with one I think! Another highlight was the PTC3 event when I made it through to the final. That was amazing and turned my whole season round after I had lost my first three matches on the professional circuit. The biggest result came in the semi-finals where I defeated Mark Selby 4-3 as at the time he had just won the Six-Red World Championship in Thailand as well as the previous PTC so he was on a real winning streak and I went into the game thinking that something special would have to happen if I were to win. In the end though I played well and it made me realise that if you play well and play the right shots then you can beat anyone. It made me realise that I really can make it as a snooker player if that makes sense. It was a shame to lose to Tom Ford in the final but he’s a good player though, better than his ranking. He beat me twice and he just scores so heavily. Every time he gets in, he doesn’t miss or run out of position. He just gets on with it and rolls and rolls like he’s not going to miss. The low point of my season probably came at the World Championship when I lost my second match against Steve Davis which has to have been the most horrible match I have played so far. I could understand the crowd rooting for Steve Davis because he’s Steve Davis of course but I just wasn’t prepared for it. I just didn’t think that there would be any Steve Davis fans coming to watch it. It was my mistake that I didn’t think about it and I just wasn’t ready for that. In that situation I was trying to play but was getting all of these horrible thoughts, I’ve never ever had anything like that. It has always been so even when I was playing as a junior, you play a good shot and get a clap but there I would miss a shot and people would shout ‘go on Steve’ and I just wasn’t ready for it. It just got me down I guess, it was a horrible game and took all of the wind out of my sails. I learned a lot from that experience though and next year in the same position I would be prepared for that. However I did lose both first round matches for the Chinese tournaments and if I could have won both of those or another match somewhere down the line then I could have got into the top 48 which would have made it a brilliant season. If I’d have beaten Davis, I knew that I would have done it too. It was a good season but it could have been better. I am just so glad I didn’t get on the year before as I’d have probably dropped off and would have only been coming on this year. After my last televised match against Andrew Higginson at the PTC Grand Finals in Ireland back in March I took about a month off. I was knackered to be honest, really tired so just needed a nice break to recharge my batteries. I just chilled out, played a bit of golf, bought a few shares, played football with mates, went out and hit the nightclub scene a bit as you do and that was about it really. I didn’t actually go on holiday in the end, I don’t know why. I postponed it and then it all caught up with me too quick, I planned it terribly! Think I’m going on holiday at Christmas. I then started practising again just before the Pink Ribbon tournament at the start of June. I’ve also got myself a new cue for this season so I had to get used to that. I made the decision to change cue because my previous one was breaking and I wanted one that was a bit longer. It’s a John Parris (my fourth so far…) that I actually ordered last year and it came just after the end of last season so it was perfect timing really as I knew that I would have enough time to get used to it so i thought why not change it now? I think it’s good to get a new cue sometimes, it keeps it different. After a couple of years your hands can stain the wood so it goes dark. A new cue just looks bright and fresh. It’s all for show really! Previously this season I have played in two events, the PTC1 in Sheffield and the Australian Open qualifiers the following week. My first match was against Ian Glover and I started with my new cue and made a century from my first shot in the first frame of the year so I was quite impressed with that! I don’t know if I’ll ever do that again in my professional career, who knows? Then I came up against Stephen Maguire and I lost 4-2. He’s the kind of player that I’ve got to be on top of my game to beat him and I hadn’t been practising enough, I just wasn’t sharp enough really. Moving onto Australia and I got off to a good start with a win against Robin Hull in my first match. At the interval it was 2-2, though I don’t know how I was level as he had made two centuries and did not look like he could miss. I went to the interval and I knew what I had to do which was not to give him a chance. I just made a 40 and played safe, potted a long ball and snookered him behind the yellow and that was it for three frames. I could not have won that game last year but since then I think that my shot selection has improved which has come as I have gained more experience. That’s all it is really. It was one of those games where he didn’t miss and I know games can change and after the interval anything can happen. That little 15 minute break gives you a chance to calm down if you are frustrated or think about how the game is going, perhaps try a new tactic. That is what I did during this match as I just tightened up, didn’t go for any silly shots that I didn’t fancy and that was it, didn’t give him a chance and managed to beat him. A year ago I would probably have gone for even more shots and gone kamikaze but this time I did the opposite and went for even less. It doesn’t always work but on that occasion I had to grind him, he was playing better than me. For that reason I was well chuffed at winning that. In the next round I played Tom Ford who was just too good really, I didn’t play bad against him and I still got beat 5-3, he’s a great player as I said earlier. All in all though it’s a solid start as like a lot of players I probably wasn’t quite sharp enough at that time. 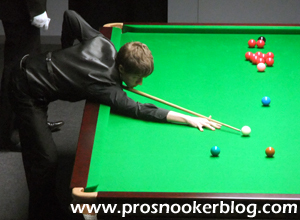 At the PTC nobody was really practising, you saw Judd and John Higgins the world finalists losing in the first round which probably said a lot and then again a lot of big names lost out in Australia. It’s a really busy month coming up now and nobody wants to burn out, I’m going to be playing most weekends and it’s good, I’m in a good place at the moment, just about right. Looking ahead to the new season my target is to try and get into the top 32, that’s the goal. I will aim for that and see what happens. Winning a PTC would also be pretty cool but you know I’d just like to have a nice run in a TV tournament. I’ve played John Higgins and Andrew Higginson on the TV and I didn’t settle for either match. I couldn’t forget that I was on the telly and just play my game. I literally sat there thinking about what everyone is thinking about me which is bad, it’s what you need to blank out I guess and not to care about but all I could think about is what everyone else is thinking. You have to just get used to it. So the goal this year is to get in the 32 but also to have a few games on the television where I feel comfortable and able to concentrate normally. But Judd has only just got it this year, it has taken him a few years so maybe it will take a while. That’s why I want to do it now. While speaking about Judd, from Beijing to the World Championship that one month has changed his whole life. I guess you could say he has got his dreams, he has got his supercar, got a flat, got money in the bank and he’s not going to have financial worries for a few years. In snooker terms he won his first tournament which was massive and then did what he did at the World Championship which speaks for itself. Now we go to Tesco to do the shopping and people are coming up asking for photos and autographs. That is weird you know, things like that, it has definitely changed his life. It can be hard to cope with but he’s a sensible lad, I think it’s like everyone else, the first two tournaments came quicker than expected. He’ll be fine. I know he hasn’t won a game yet and don’t get me wrong he has enjoyed himself since the World Championship and made the most of it, but he’s back on track now practising like everyone else. I think he’s going to be extra confident this season so he’s going to be dangerous and everyone now knows how good he is as well. He was playing a different game to everyone else at the World Championship and just going for everything, potting some incredible balls so he’s going to have a lot of respect from players I think. By the same token though people will also raise their own games against him, players will realise that to beat someone like Judd they will have to be on top of their game and will start to play even better so he could have a tough season with people playing well against him. Then again though he has now got the confidence to handle that. I think he’s going to do well. It is amazing for me watching that too as his achievements have made me realise just what is possible. Snooker can change your life, when you are a little kid all you want to do is win and be the top player and be on the telly. To be honest nobody mine or Judd’s age has really done it recently, there is Ding but we don’t live with him! My flatmate is doing that at 21 and it makes me realise, who knows what could happen this season for me. Just in China something clicked for him and he felt confident on TV for the first time ever and look what he has done since. It made me realise that if you put the work in you can get the results, no matter how old you are. It’s too early to say now but maybe Judd has given the rest of us confidence and we will all start to come through, the younger players. I’ll let you know after the season! It will be good if that happens, it’s good for the game I think, everyone loved Judd when the World Championship was on. One tournament that I am really looking forward to this season will be the Shootout, I can’t wait for it you know. Last year I was gutted not to be in it, hopefully this year I should be. It looks like a good laugh, everyone goes for the fun, the crowd are quite rowdy, laughing and joking. I think I could go there and watch it because of the freedom and the fact that you can talk on the phone if you want to. That’s the one thing I hate about venues. When you miss a ball at a venue you can hear the crowd wince and you think ‘oh don’t do that it’s horrible!’ They did it in Wales, they did it in Germany and they did it in Ireland so that’s one thing I’m getting used to. 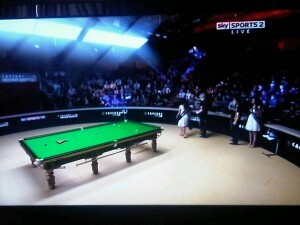 I watched a game at the Crucible a few years ago and that’s the worst place for it! They’ve got physical pain on their faces when they do it! That’s what makes snooker a sport though, because people love watching it, the highs and lows of the misses and the pots. I mean this year the entrance for the world final, the crowd were absolutely going mad. 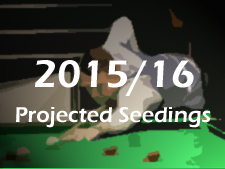 Snooker is on the up, everyone who is a professional now is lucky. Matt has asked me what nickname I would like to have but I’m not sure. There are a few… Lightning Lisowski, Jackpot… Lightning is probably the coolest, I hope if it sticks I don’t try playing extra fast. When I was a little kid I used to be really fast but I’ve slowed down since. Another I have heard is Jumping Jack but that is horrible, what is that all about! To finish, Matt has also asked me to pick my player to watch this season and though it sounds really stupid and incredibly obvious, I think that Ronnie O’Sullivan is going to have a great season. He’s getting on now and down to something like world number 13 isn’t he so it’s at the stage where he can be a one to watch! I’ve been practising with him at the Romford Grove Academy and he looks better than ever. I played him quite a lot last year but this year I played him four times in a week just before Australia and he was ready then, he was really ready but he got injured sadly. I practised with him all last weekend and you can’t play anyone better you just learn so much. He’s a genius I suppose. Just from watching him, sometimes I feel like I want to miss because then I get to watch! 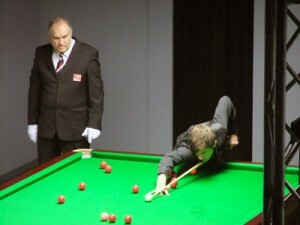 He’s a nice guy as well, gave me some great advice, suggested some practise shots and showed me where I was going wrong. Anyway I had better wrap it up there for this time and will be back upon my return from Shanghai to let you know how I got on. Thoroughly enjoyable insight into the world of snooker. Thank you for sharing all that, Jack. I really enjoyed reading all of that, and am looking forward to more! Good luck in the PTCs and in Shanghai! Thank you very much Jack for this good blog. Wish you all the best this season. 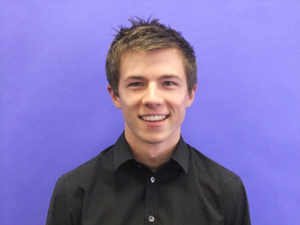 Great blog Jack. Good luck in all tournaments this season. I enjoy reading yours and Judds tweets! Great Blog- as expected. Keep up the hard work Jack.